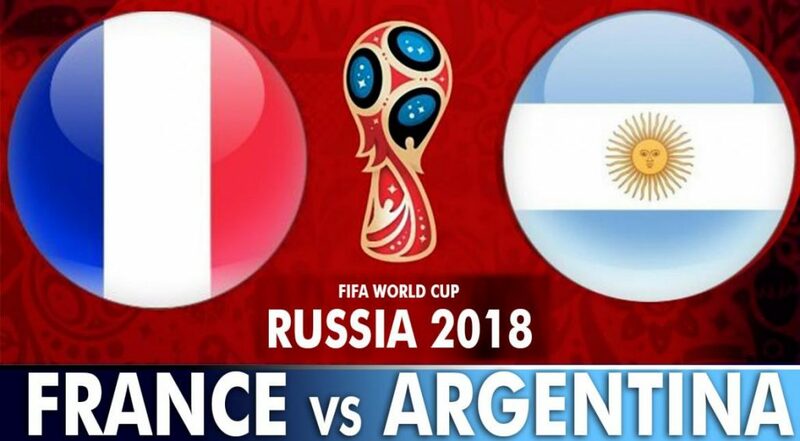 The clash between France and Argentina will be played at the Kazan Arena in Kazan on June 30th. Argentina didn’t show anything to convince us they are the genuine contenders for the World Cup title and they should consider themselves lucky to even be here, while the Blues could do better, but after taking the first place in the group without exploiting all they got, it seems that France kept the strength for the knockout phase. France recorded two narrow wins in the opening two matches at the World Cup and that was enough for them to book their place in the Round of 16, and despite not playing a high-flying football that was expected from them, the Blues got what they wanted. The most recent tilt with Denmark showed that they don’t want to risk the players and the general impression is that they didn’t give their maximum in the group stage, so they can be fit and ready to go all in in the knockout phase. On the other hand, Argentina gave their 100%, but it just wasn’t enough to impress anyone as their game plan was disastrous. Relying on the attack too much nearly proved to be the main reason form elimination as they continue to keep faith in Leo Messi, who literally didn’t do anything at the World Cup except for that leading goal against Nigeria. He should take this team forward and not vice versa, while the midfield and defense are silly and it looks that Argentina is not good enough to go to the quarter-finals, even making it to the Round of 16 is a success after their performances in the group stage. Antoine Griezmann scored just one goal so far and it was from the penalty against Australia in the first round, so he has to take the responsibility and be the main man on this one. France has plenty of players who can explode and in the game single-handedly, but it seems that Griezmann waited for a big game to show his worth. Leo Messi disappointed at the World Cup as he looked distracted and not motivated enough to repeat the success from four years ago when Argentina made it to the finals. Messi with Argentina is completely different from what we usually see in Barcelona’s shirt and that is painful to the Albiceleste’s fans, so they are hoping that Messi can be their hero here. France: Lloris; Pavard, Varane, Umtiti, Lucas; Pogba, Kante, Matuidi; Mbappe, Griezmann; Giroud. Argentina: Armani; Mercado, Otamendi, Rojo, Tagliafico; Mascherano, Banega, Perez, Di Maria; Higuain, Messi. France’s chances to win the World Cup are now +800, while the Blues are +162 to reach the semi-finals. Argentina’s chances to win the World Cup are now +1400, while the Albiceleste is +275 to reach the semi-finals. France is a favorite at +140, and although the odds jumped from +100, I still believe they are a better team and that will defeat unimpressive Argentina. The Blues didn’t show much so far, but it is obvious that they have much more to give unlike the Albiceleste who gave their all but it just isn’t enough.